Welcome to Willow Oaks! 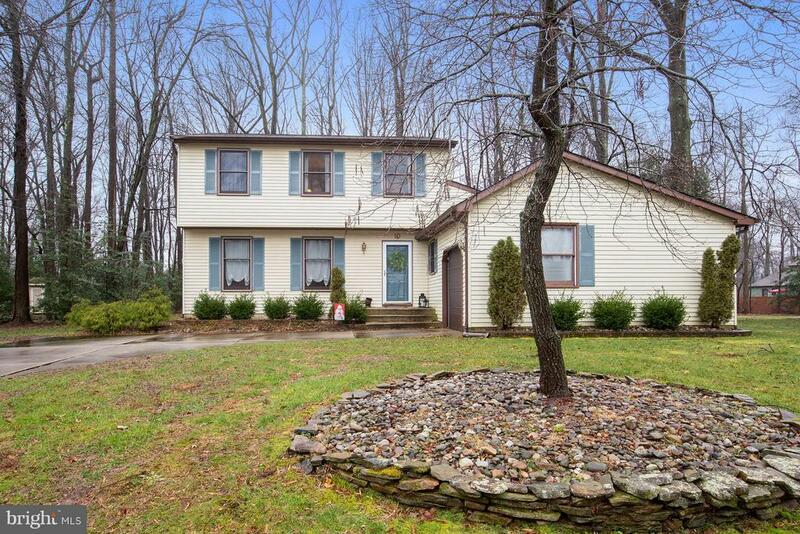 This charming home is close to everything, yet feels like you are miles away from it all. Lovingly maintained, the owners have taken care of the big stuff with a younger Roof (2013) HVAC (2011) and hot water heater (2014) As you enter, you will notice a large living room connected to the formal dining area. The bright, eat-in kitchen features newer stainless appliances, laminate flooring and a GREAT walk- in pantry that you are sure to love. Opening up into a huge family room with vaulted ceilings, wall length wood burning fireplace and attached 1 car garage. The main floor is completed with a more than ample sized laundry room and recently updated half bath. Upstairs you will find 3 well appointed, carpeted bedrooms, with the master featuring an updated en-suite bath and walk in closet. Quiet neighborhood, around the corner from Kresson elementary. Be sure to check this one out, its a WINNER! Selling Agent: Val F. Nunnenkamp Jr.